If you are buying a business in America, there are normally only three visa options - the E-2 the L-1 and the Green Card. 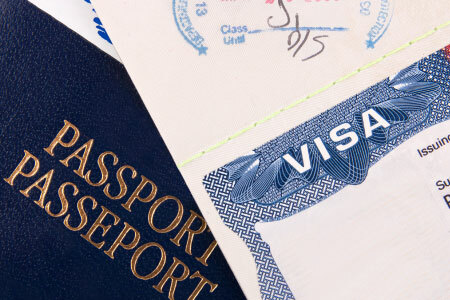 Each visa option has different requirements. If you are eligible for a Green Card (permanent residence) this may take a year or longer to obtain. It is usually prudent, therefore, to consider an E-2 or L-1 non- immigrant visa initially and apply for a Green Card later. There are often misunderstandings as to the relative merits of the E and L categories. A Green Card (as a Multinational Manager) can be applied for when you are in the States regardless of whether you had an E-2 or L-1 visa previously, as long as you own an overseas business that continues to trade actively. You must be a citizen of a treaty country, e.g. Germany, Netherlands, U.K., Canada, etc. The initial E-2 visa can be issued for between two and five years. Renewal is usually straightforward, normally for five years, provided the business continues to qualify. Either one investor or two (50-50) husband and wife co-investors (or unmarried partners) can normally qualify for E-2 investor visas based on one application to the American Embassy, which allows both to work in the business. If your spouse does not wish to work in the business, he or she, as an E-2 dependent, can, under legislation approved in 2002, apply for work authorization through USCIS (U.S. Citizenship and Immigration Services) once he or she arrives in the U.S. This permits him or her to work anywhere, as long as the E-2 investor spouse remains in valid E-2 status. This applies to dependent spouses only, not dependent children. The foreign business must be an affiliate of the U.S. business. This is achieved through joint ownership: one business owns the other, or the same individual has the controlling interest in both businesses, or the same group of individuals jointly hold a controlling interest in both businesses. You must have worked in the foreign business as a manager or executive for at least one year in the last three and have a similar position in the U.S. company. The U.S. company must have already been established or purchased. The foreign company must continue to operate in your absence. If the U.S. business is newly established, the L-1 visa will be issued for one year only, at the end of which a renewal application must be made. When applying for your initial L-1 visa for a new business, you do not need many employees. However, at renewal, one year later, you normally must show a substantially larger operation. Otherwise the renewal may not be granted. Under legislation approved in 2002, a dependent spouse (on an L-2 visa) can apply for work authorization through USCIS (U.S. Citizenship and Immigration Services) once he or she arrives in the United States. To obtain a Green Card as a Multinational Manager, many of the requirements are similar to those of an L-1 visa. You must demonstrate that both the foreign country and U.S. businesses are reasonably substantial. A previous L-1 visa is no guarantee, however, of a Green Card. It is hard to get an application approved if either business is very small. If the E-2 visa would be more advantageous, for example because of the longer initial approval period, choose an E-2 initially and apply for the Green Card later when your U.S. business has grown.